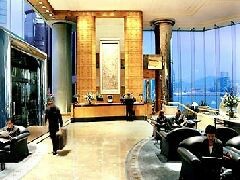 The JW Marriott Hotel Hong Kong prides itself in being a world class hotel providing for renowned services and facilities. The hotels 602 luxurious guestrooms offer welcome, quiet privacy, with sweeping views of Victoria Harbour and the lush greenery of The Peak. With an outdoor pool and Jacuzzi, 24-hour access Health Club and a unique variety of gourmet dining facilities, there are welcome distractions throughout. The hotels well equipped business center, and consistently award-winning meeting facilities, provide for a state of the art business atmosphere. 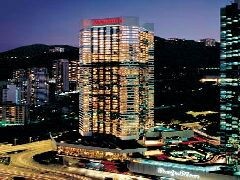 The JW MARRIOTT HONG KONG is a Tourist hotel. Located in HONG KONG area. Shopping is accessible by bus/taxi and the nightlife/restaurants are easily accessible by taxi or bus from the hotel. Descriptionclass="small" style="text-align: justify; font-size:11px;">The JW Marriott Hotel Hong Kong prides itself in being a world class hotel providing for renowned services and facilities. The hotels 602 luxurious guestrooms offer welcome, quiet privacy, with sweeping views of Victoria Harbour and the lush greenery of The Peak. With an outdoor pool and Jacuzzi, 24-hour access Health Club and a unique variety of gourmet dining facilities, there are welcome distractions throughout. The hotels well equipped business center, and consistently award-winning meeting facilities, provide for a state of the art business atmosphere. Excellent hotel. Well located above Pacific Place. Service standard is very high - all staff consistently kind and willing to help. Room amenities also great and comfortable. Had a good 2 weeks stay. Highly recommended. My stay at the JW Marriott was absolutely lovely. The staff are so friendly and helpful from the moment we walked through the lobby doors. The front desk staff was accommodating and answered our questions. The lobby is beautiful and the staff within the Executive Lounge was spot on when it came to service and ambience. My other half is gluten free and the staff went above and beyond to make sure he had something to eat within the lounge. We upgraded our room to a harbor view, which was stunning. The hotel sent us champagne and cupcakes to help us celebrate our anniversary, which was a lovely surprise. The hotel is connected to Pacific Place so very easy to access shopping, the MTR, along with Hong Kong Park. I would love to return and would recommend to anyone. Thank you for the amazing review from your stay with us at the JW Marriott Hong Kong. We sincerely appreciate all your comments regarding our Executive Lounge and the associates who made your Anniversary experience that more special and assisted with your dietary needs. We look forward to welcome you back when your travels bring you back through Hong Kong and if we can be of any assistance please feel free to let us know. Stayed over 2000 nights in Marriott hotels and this may be one of the best service, quality, stay experiences - no issues in any respect from room and in-room items, housekeeping, front desk, noise. Really enjoyed the stay. Good location in city but a bit of a walk to a MTR, bus or tram but OK. Thank you for the truly great review from your stay with us at the JW Marriott Hong Kong. We were delighted to know that you enjoyed a fantastic experience in all aspects of your stay, hotel's facilities and services. We look forward to welcome you back again in the near future. Before the acquisition of SPG by Marriott, we mostly stayed at SPG hotels for the benefits being Life Platinum member. With the merger, we have the opportunity to stay in more hotels under the new Marriott Bonvoy. 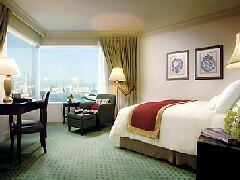 On our recent trips, we check-in both JW Marriott Macau and HK each for 3D/2N stay. To conclude our experiences, we think both are good hotels deseving 5-stars status. However, as far as the size and setup of room is concerned, Marriott Macau is definitely much better because it is much newer. JW HK is 30 years old but the Executive Lounge is better not only in terms of the size and layout, but also the food and beverage provided, which we think is the best among all the executive lounges we have visited in our more than 30 years of travelling. Location and service standard in both hotels are excellent. Thank you for taking the time to review your most recent trip to Hong Kong and Macau where you were able to enjoy both our JW properties. Thank you for the wonderful compliments of our hotel and in particular our Executive Lounge for their attentive service by our associates and the fantastic culinary offerings. We do hope to have the opportunity to welcome you back again in the future and if we can be of any further assistance please feel free to let us know. Great hotel, great location, great service. The staff went above and beyond and made our stay very enjoyable. 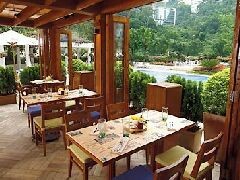 The pool was enjoyed by the whole family and the buffet breakfast was also a hit, particularly the nutella donuts! Thank you for the amazing review from your family's experience after staying with us at the JW Marriott Hong Kong. We were delighted to learn that you enjoyed the hotel's facilities and in particular the culinary offer and the Nutella donuts, they are simple delicious. We look forward to welcome you back again in the future and if we can be of any further assistance for your next stay please feel free to contact me directly.